We go hands-on with two new lenses from Panasonic, designed to be compact. 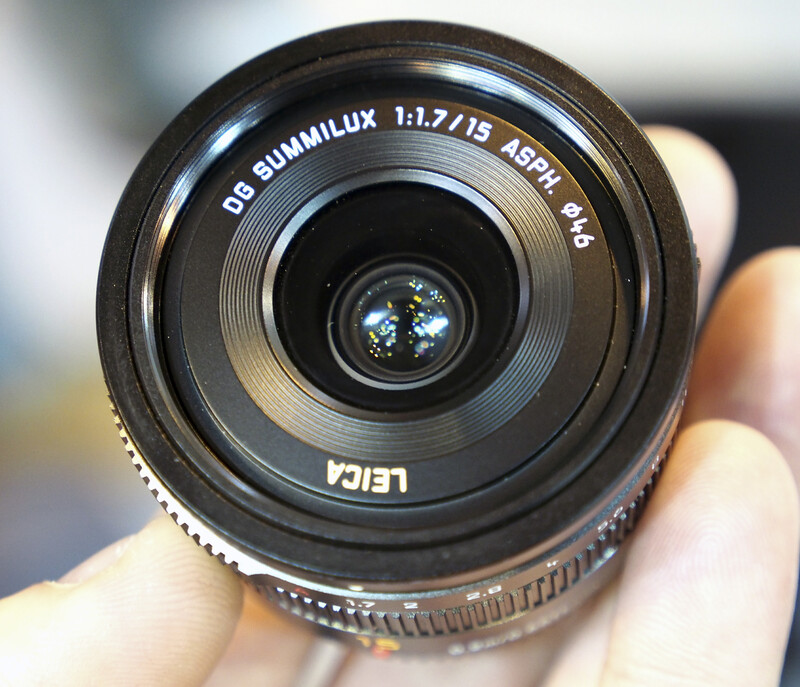 The Panasonic Leica DG Summilux 15mm f/1.7 ASPH. lens is designed to be a compact prime lens that will fit perfectly on the compact Panasonic Lumix GM1, although we expect that with the premium metal build quality and aperture ring on the lens it could be a popular lens for all Micro Four Thirds users, depending on price and performance. Panasonic were also showing a mock-up of their new 35-100mm compact zoom lens, although detailed specifications weren't available. Not really excited about either of these two lenses. But always nice to have more choice.